See what makes our small community the epitome of idyllic Maine life. Swimming, kayaking, tennis, a marina, general store and more. See all the amenities that Diamond Cove has to offer. Create a home among friends at Diamond Cove. Our community is small and friendly. See homes for sale and rent. 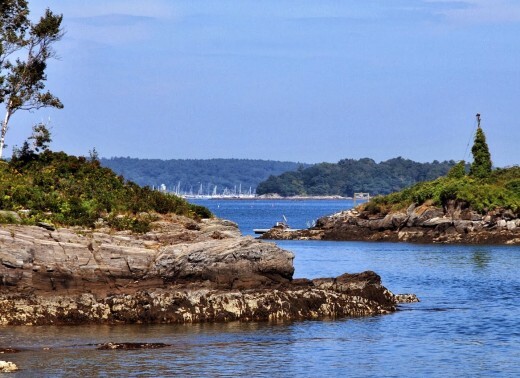 Spend your summers at Diamond Cove, an island resort community on Great Diamond Island, just a short ferry ride across Casco Bay from Portland, Maine. Within Diamond Cove, you can buy waterfront property and build your dream house, or you can purchase a 19th-century home on the National Register of Historic Places. If you only want to spend a week or three, you can also rent homes for a Maine summer vacation you’ll never forget. 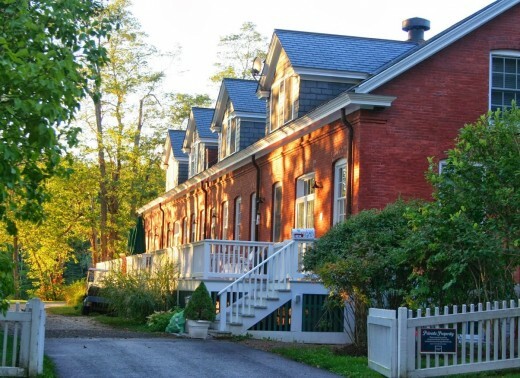 Once a military base built during America’s Gilded Age, Diamond Cove features restored barracks and officers’ quarters with slate roofs, wooden porches, grand staircases and fireplaces. Diamond Cove residents have access to the highly rated Diamond’s Edge Restaurant, a marina and general store along with a gym, a pool and hiking trails. Although you’ll find plenty to do on the island, Diamond Cove residents are an easy ferry ride from Portland, one of America’s great small cities. Portland has become a culinary destination, and it is home to a growing community of artists and artisans. During your stay in Diamond Cove, make sure to experience some of what Portland has to offer – great food, art, history, quaint shops and beautiful scenery. Casco Bay Lines provides ferry service between Diamond Cove and Portland and to other islands in Casco Bay. Once on the mainland, there are several choices for groceries, all within easy driving distance. Automobiles are not allowed on Great Diamond Island, but parking is available near the ferry dock. Other mainland activities include shopping destinations such as the original L.L. Bean flagship store, minor league baseball, theater and music. Portland was home to American literary legend Henry Wadsworth Longfellow, and visitors can tour his homestead. The city boasts several history museums and a world-class art museum. 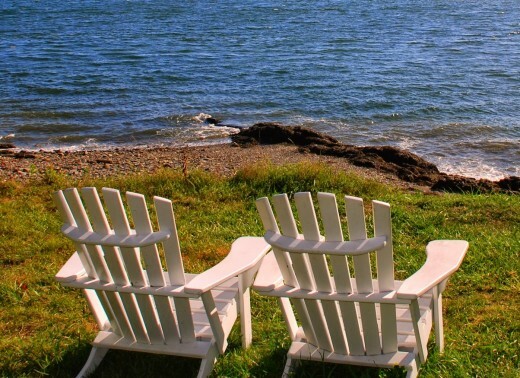 Diamond Cove residents can experience some of the best that Maine has to offer – gorgeous landscapes and seascapes, outdoor recreation, history, great food and island relaxation.